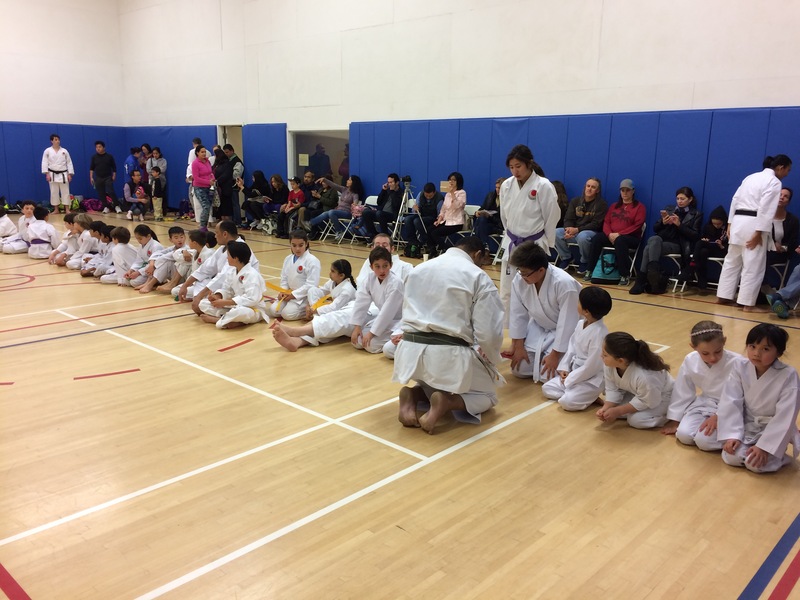 Welcome to JKA NorCal Shotokan Karate! 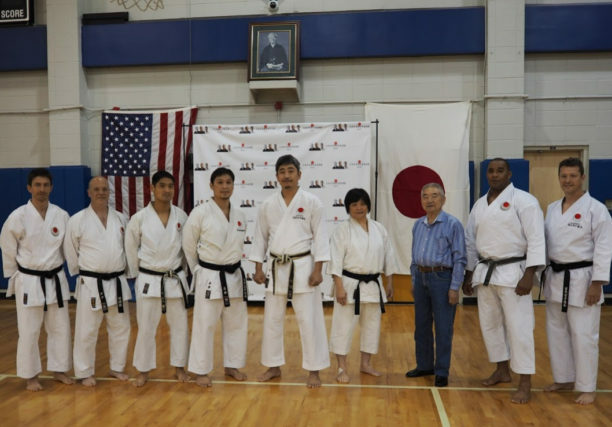 We are a traditional Shotokan Karate club affiliated with the Japan Karate Association American Federation. 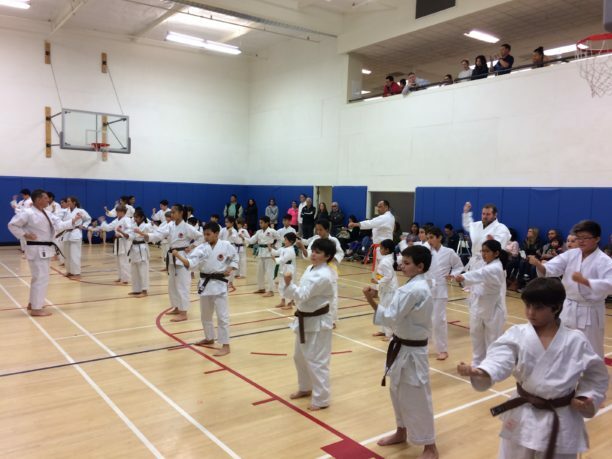 To find out more about the karate club, go to the about us page. We have kids & adult karate classes six days a week, at the Prime Time athletic club in Burlingame, about 20 minutes south of San Francisco. If you’d like to train with us, please see our schedule and contact us to find out more. Our blog page contains information about past and upcoming events, to which you can subscribe to get email updates. Osu! The 2017 Japan Karate Association American Federation National Karate Championships and Goodwill Tournament will be on 10-12 November 2017. 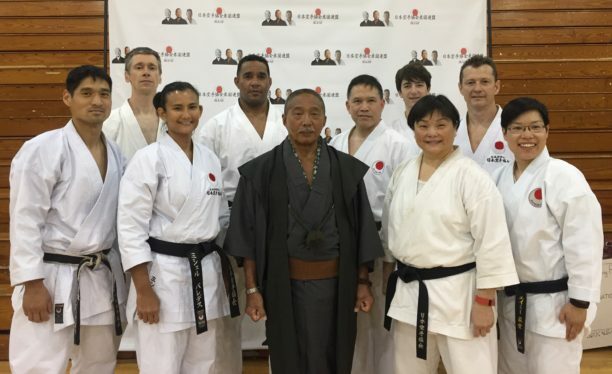 This year’s Japan Karate Association American Federation training camp at the University of New Orleans (UNO) featured guest instructor 8th Dan and general manager of the technical division Sensei Imura Takenori. 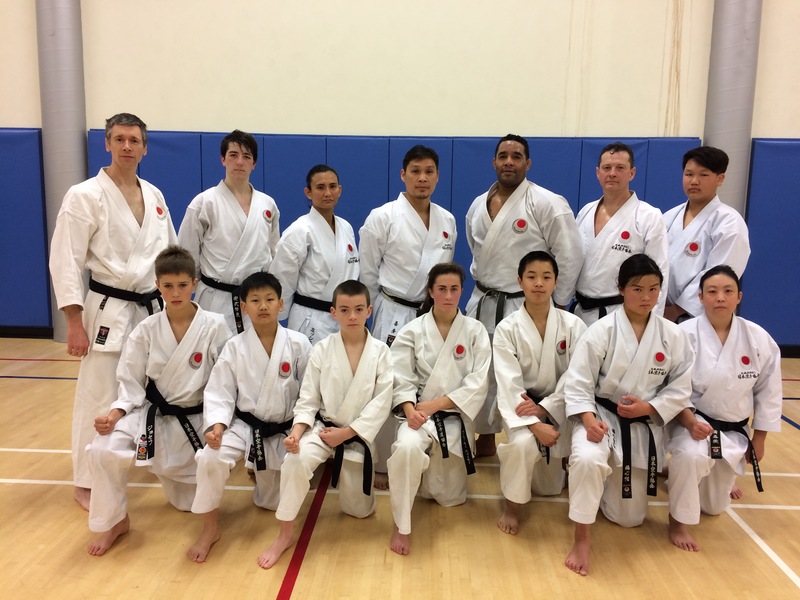 There were about 80 participants for the four day camp, with nine representing JKA Nor Cal. 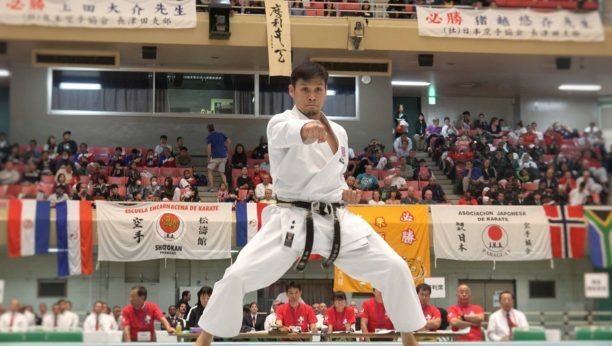 Sensei Imura’s crisp technical excellence and athletic prowess had everyone astonished. His sharp eye for details and sense of humor (for example: He picked out five people’s yoi position in Bassai-dai and drilled us all on which four were wrong) really added to the educational value of this camp. Sensei Imura covered basics – including a series of clever drills starting with open hand striking techniques and leading up to kumite – and drilled down to details and bunkai in kata. He also had a class specifically on judging kumite and kata matches. 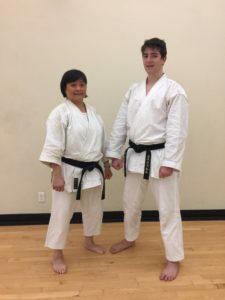 Sensei Mikami lead classes on ashi-barai, and kumite applications of sweeping and balance, and answered our questions with humor and depth. Every one of us learned and clarified many questions. If you have any questions about the camp, talk to Abdallah: He took copious notes and will be teaching a class based on what we learned. 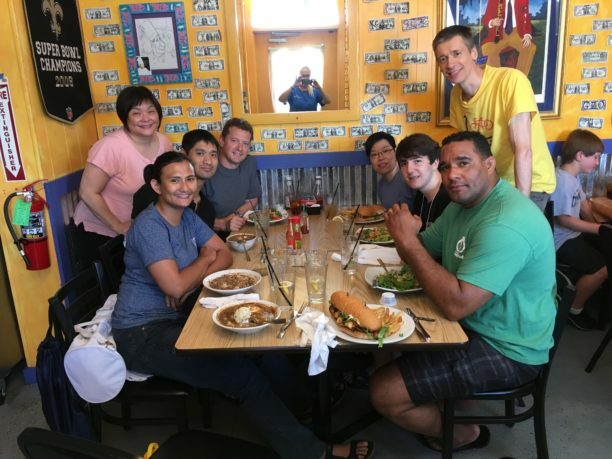 Thanks again to Senpai Sean for arranging and coordinating AirBnB lodging and driving us about town; and to Senpai John (dojo chef) for another scrumptious meal. Now we can look forward to more dan parties! 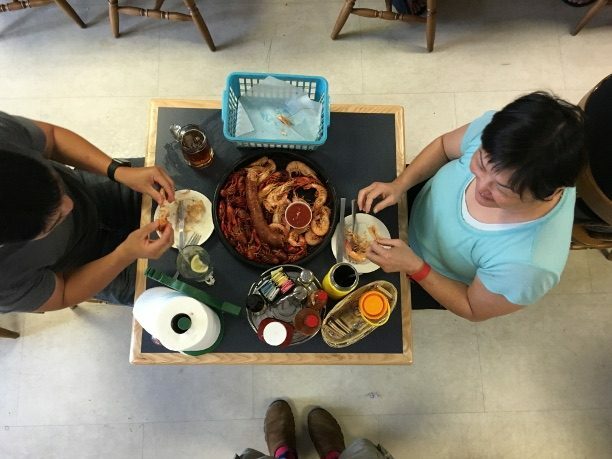 Celebrating Rokudan: Crawfish by the pound (after two dozen oysters)! Sensei Khim Torres visited and gave a clinic on Saturday January 28th in the morning, followed by belt testing. The two hour clinic was held at the same time as the normal Saturday morning class in the basketball court and had great attendance. 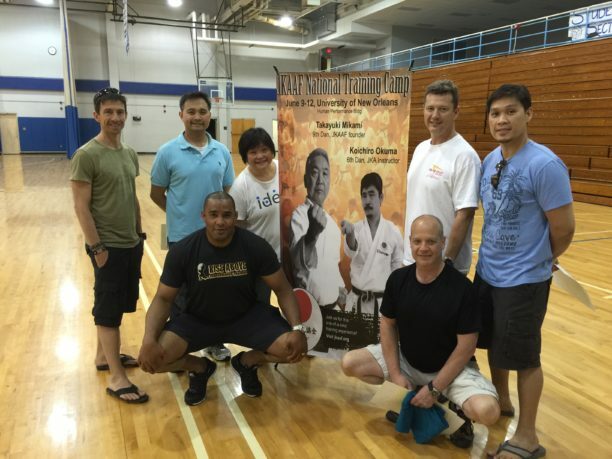 We had a really nice event at University of New Orleans (UNO) this month at JKA/AF’s National Training Camp. This year’s guest instructor was Sensei Okuma who was so very passionate in his teaching and inspiring as an instructor. This year was special to attend national camp welcoming Sensei Wauriman to JKA NorCal; introducing our camp experience with our brand new Shodans Sean Kelley and Alan Ropers and building new skill set with our budding instructor/judges Doug Mazur and John Sam … all under our beloved instructor Khim Torres’ leadership before he takes off for his adventure with JKA Maine! Thanks to Sean (dojo concierge) for arranging a beautiful setting with AirBnB lodging and driving us about town. And Alan (dojo photographer) for photo documenting our experience. And John (dojo chef) for the scrumptious meal – you gave some of you for our culinary delight! 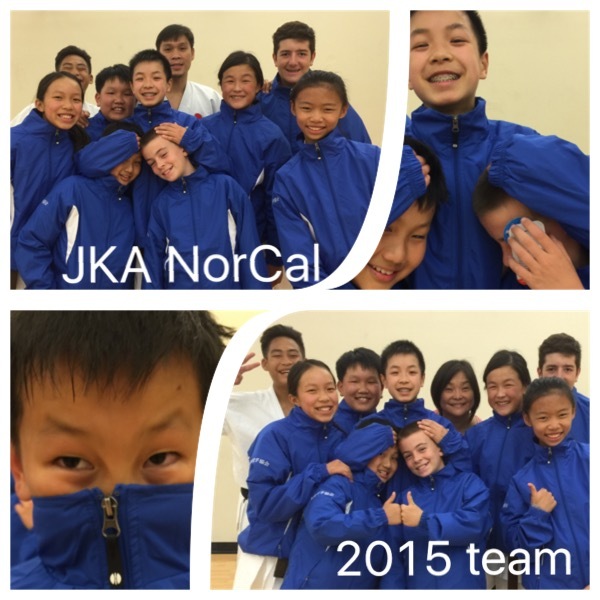 The JKA American Federation National Tournament is coming up November 14-15 at University of New Orleans, and our team is preparing to go. 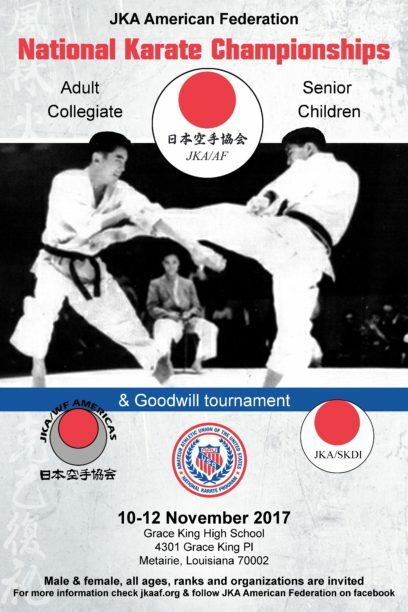 More information will be posted at the JKA/AF web site. Abdallah is most dedicated and committed to training at our dojo. His hard work and perseverance has yielded great improvement especially since his Shodan. We look forward to his continued openness to learning and being an inspiration to others! Those who follow Karate-do must never forsake a humble mind and gentle manner.